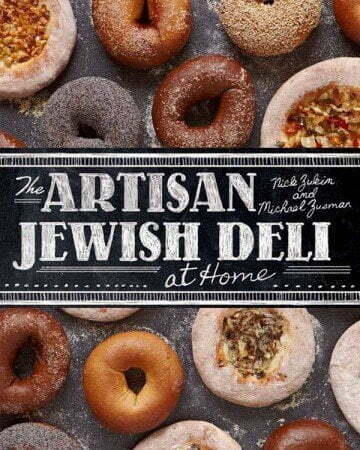 When I first started flipping though “The Artisan Jewish Deli at Home” by local authors Michael Zusman and Nick Zukin, I was a bit puzzled. It’s not a slick book. Yes, there are glossy photographs, but they aren’t impossibly perfect as are those in many books these days. There is no dust jacket, and the layout is a bit utilitarian. Don’t get me wrong – the photos and layout are nice, but unlike many cookbooks, this one is not meant for the coffee table. You can actually cook from it. In fact, the format of the book fits the cuisine rather well. Jewish delis aren’t fancy – the food isn’t ‘art on a plate’ and many of the flavors tend to be heavier, often blander and somewhat lacking in color. They are places where you can put your elbows on the table, talk with your mouth full, and slurp matzah ball soup. 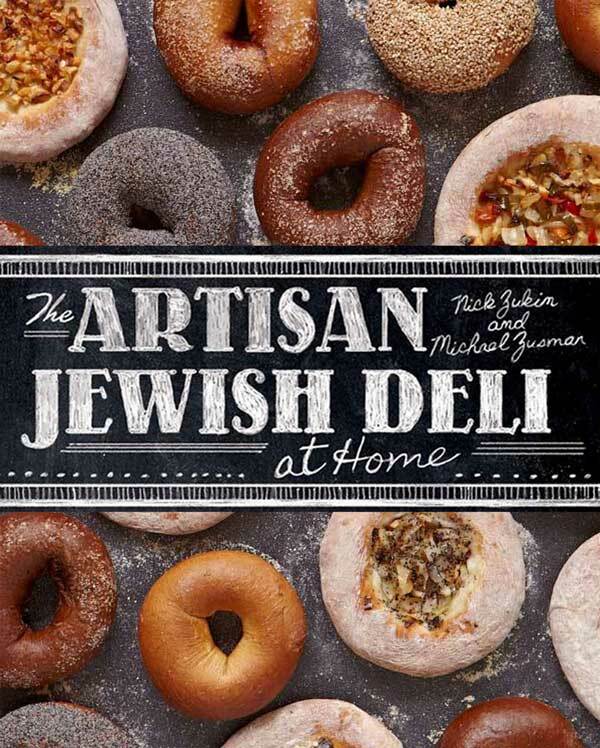 While The Artisan Jewish Deli at Home captures the essence of the deli, the photos and the typeset give you the feeling you’re reading your ‘Bubbie’s’ old cook book minus the grease stains and dough stuck on her favorite pages. The history provided is keen, as most non-Jews only know bits and pieces about the food, as well as its preparation. I started with the building blocks of the cuisine and went all the way through the book. Essays from notable authors such as frequent NY Times contributor Joan Nathan, and cookbook author Sharon Lebewohl, make it much more interesting than just a collection of recipes. The chapters are logically organized into Deli Food Basics; Starters and Sides; Soups and Salads; Eggs, Fish and Dairy; Beef; Bagels, Bialys and Breads; Pastries, Desserts, and Drinks. There are over 100 recipes, from the basic building blocks of Jewish cooking to some of the most complex dishes of the cuisine. Some are presented as seasonal variations, making it feel more authentic; a home cook could keep their seasonal favorites and ingredients a little more organized – I liked that about the book. There is also a section on sourcing ingredients, and the author’s favorite artisan Jewish delicatessens. 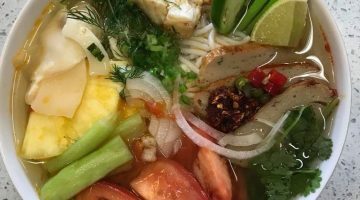 Overall, I came away from The Artisan Jewish Deli at Home with more knowledge of the food, and an interest in exploring the cuisine through the recipes. It is difficult to ask for more than that from any cookbook. You can view the recipe from the book and a photo for Fall Brisket: Cider and Butternut Squash here. Category: Authors / Book Reviews.